What kind of child doesn’t like Spaghetti-os??? Can’t say they don’t have a sense of humor ( a bit black, bur funny). Yes, I fear for their future girlfriend/wives.. If I had cans of that in my pantry, I would eat them. No doubt about it. I believe you! Apparently, same here! Love your kids! 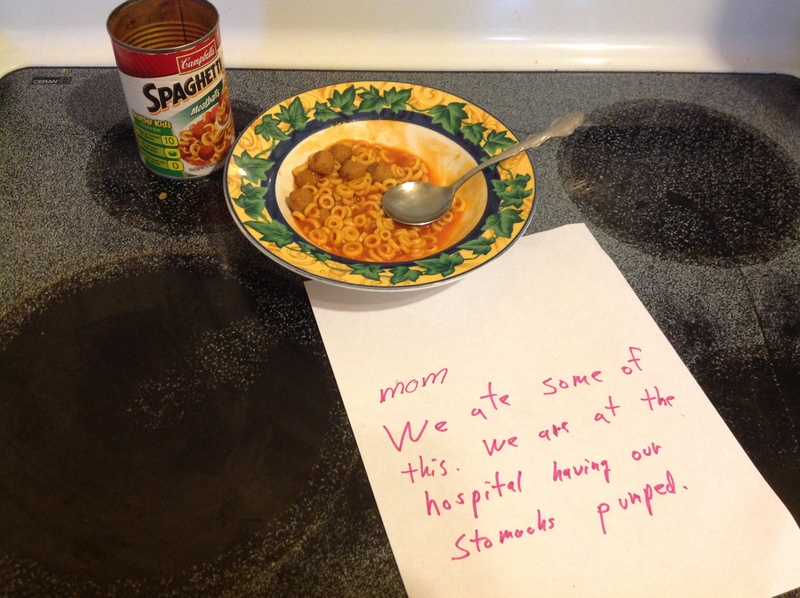 Tell them my HUSBAND eats Spaghetti-Os (with MEATBALLS no less) just about every weekend. It’s what has kept the Generation X kids going for years. ha. Popping by from ‘Finding the Funny’ – and yeah…this was damn funny!! 🙂 Thanks for the laugh! So, you think they will survive? That is good to know! ha Thank you for stopping by! Love your kids! Tell them that my husband eats Spaghetti-O’s every weekend! It’s how the Generation X kids survive!! 😉 Popped over from “Finding the Funny” – thanks for the laugh! Thank you! They always know how to get my goat and make me laugh at the same time! Thank you! So glad you got a laugh out of it. That always makes my day!